Ocado's vans may be a familiar sight on many a suburban street, but it is a different army of IT workers who also keep the business running like clockwork. The online grocery retailer employs about 340 software developers and other IT specialists within its technology division – more than half of the head office headcount. We take a look at how technologies like Distributed Computing and the Common Object Model have been refined into web services, service-oriented architecture and composable applications and microservices. "We are a technology company that also does retail," says Ocado technology director Paul Clarke. "We are not a typical retailer – technology is woven into everything we do. We are much more like Google or Amazon than our traditional competitors." 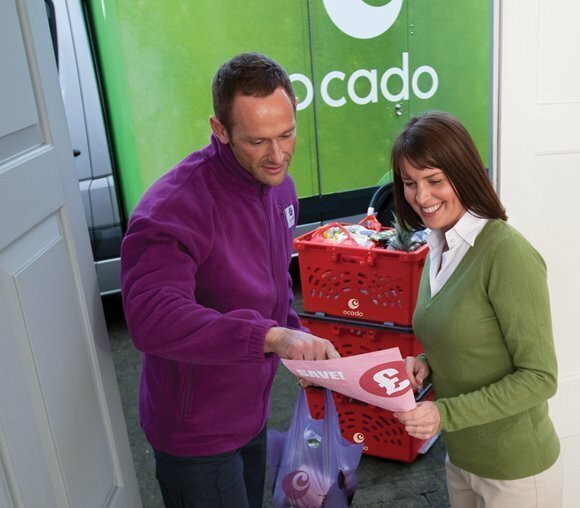 One of Ocado's selling points is the ability to designate a one-hour delivery window to customers. Tesco, for example, can only offer this feature in some locations, and offers a two-hour window everywhere else. To honour its commitment, Ocado sets high standards in technology which leave many off-the-peg software packages wanting, says Clarke. For example, the online retailer has developed its own route optimisation software, to direct its delivery vans to customers, accounting for predicted traffic and accommodating other drop-off points, thereby saving both fuel and time. “It is a source of excellence. We need complete control in terms of the algorithms and the optimisation processes. That is a key part of how we hit those one-hour delivery slots. We used to use the best-of-breed routing software, but it was not good enough – it did not scale, so we had to build our own," says Clarke. He says this is the general pattern in Ocado's development of software and implementation of technology: "Almost all the technology that powers Ocado – from the web shop and mobile apps, to middleware, to the real-time control systems in our warehouses and then the last mile – is built internally. You could name the exceptions – we don’t write our own operating systems, relational databases and things like Google Apps, but pretty much everything else we write internally. "That gives us complete control and ownership of the intellectual property. It means that if there are things we need to change or fix, as a 24/7 operation, we can do that at 3am, rather than trying to persuade some company on the other side of the Atlantic that they need to respond." Ocado runs the world's two largest automated grocery fulfilment centres: Hatfield and Dordon in the Midlands. The whole operation is clocked to the one-hour delivery rhythm, which includes the supply chain that feeds the business. Ocado has built its own real-time control systems that offer greater throughput than supplier-based software could offer, says Clarke. The retailer has also been able to model changes to its warehouse operations in detail. "We can’t buy simulation software that would do that. We had to build all that ourselves," he says. "We can model changes to our warehouses, including visualising the position of every single container moving around the warehouse in 3D, and we can also use that visualisation to play back a production day." The level of detail, flexibility and speed in Ocado's systems is necessary because it lets customers change their orders up to a certain cut-off point, and still retain their initial delivery slot. Optimisation software is constantly rerouting vehicles and re-allocating van space as orders change, until the orders are downloaded to the warehouse for picking. To get products to customers on time, Ocado also collects its own traffic data. “It is no good spitting orders out of the warehouse on time if we can’t predict the drive times to the customers. We collect an immense amount of data to do with the last mile," says Clarke. Vans feed back data in real-time, as well as collecting data to be loaded onto Ocado's systems once they return to the depot. This includes data about a vehicle's position, velocity, cornering, what gear they are in, fuel consumption and the internal temperature. "All that is fed back in a virtuous circle to improve future routing optimisations decisions," says Clarke. As a result, he sees Ocado as a big data user. The company employs a mixture of Oracle, Google cloud services and EMC's Greenplum to manage and analyse its data. Ocado's partnership with Google is also about to support another selling point. 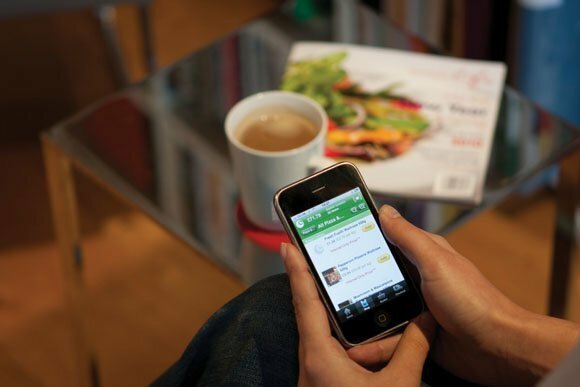 The retailer can already alert customers to whether their deliveries are on time via their website, mobile apps and SMS. This feature will soon be transferred to maps displayed on its website or within smartphone or tablet apps, allowing customers to see where the order is. Tesco is planning a similar technology, but if Ocado launches before its rival it will be the first on the UK market. Ocado sees technology not just as a business support function, but as a skill and an asset which allows it to create a unique customer offer in an intensely competitive market. This has not escaped other grocery retailers. In May, Morrisons announced a partnership with Ocado to deliver its online orders, a deal which could be challenged by Waitrose, as it has an existing contract with Ocado. Although Clarke could not comment on the Morrisons deal during this interview, he offered a glimpse of the technologies which the store-based retailer may be able to exploit. supply chain that feeds the business. as orders change, until the orders are downloaded to the warehouse for picking.